This book was highly recommended to me by my son, whose reading tastes (like everything else) are somewhat different from mine. However, to humor him, I read it - and LOVED it! A fascinating, well-crafted tale that really does remind one of the Narnia tales + Harry Potter...with a bit more thrown in. Give it a try! Cracking read, as the header says, this is Harry potter for the more mature reader. What if the Harry Potter series didn't start until the kids were ready to head off for college? What if the kid who went temporarily to the dark side in the Narnia series became truly and irrevocably evil, and stayed that way? What if the kids in both of these series swore like sailors, drank like fish, and boinked like bunnies? 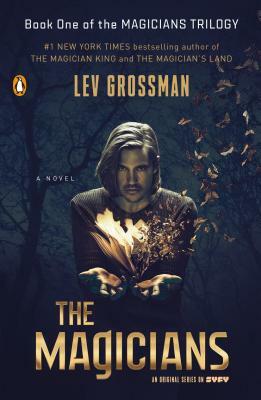 Why, then you'd have The Magicians , the latest from Time magazine book critic Lev Grossman. Quentin Coldwater, our hero, is pretty much a genius. He's in his final year at a high school in New York for intellectually superior kids, and as we meet him he's on his way to an interview with a representative from Princeton University. The man he's supposed to meet with is dead, so the interview never happens, but a mysterious and lovely paramedic gives him a package with his name on it. Faster than you can say abracadabra Quentin is down the rabbit hole, or, more specifically, through a portal in a wintry New York alley that leads to summery Brakesbill College for Magical Pedagogy. Needless to say, his life changes in an instant. He studies magical theory and learns to harness and hone his own power. He is taken under the wing of urbane and sophisticated older students, who teach him about wine, fine dining, and the nicer points of ennui. After college Q and his friends live an aimless life of partying and hangovers, occasionally wondering when it's all going to start for real...when it does, they get more than they bargained for. The Narnia-like fantasy world they all grew up reading about is real, and it's not a very happy place. There is a quest. There are deaths, both mundane and magical. And in the end, Q must make a choice. The Magicians is an intriguing new entry in the ever-growing canon of urban fantasy. Lev Grossman writes with a deft hand, and obviously knows and loves his source materials (well enough to mess with your mind, if you know them, too). Recommended, a good summer read.